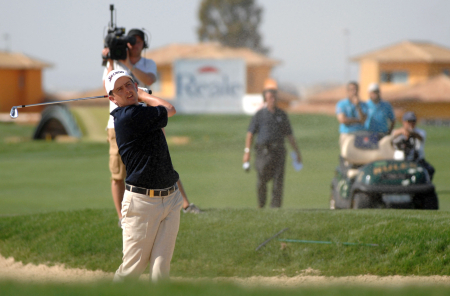 Peter Lawrie fired his fourth successive round in the 60s to claim sixth place at the Portugal Masters. The Dubliner finished one 15 under par, three shots adrift of Australia’s Richard Green who shot a closing 65 to steal the title from under the nose of Pablo Martin. Green got to the clubhouse at 18 under with Martin in the heart of his back-nine, and then watched as the Spaniard crumbled down the stretch, dropping three shots in his final four holes to end the week at 15 under. Ryder Cup star Francesco Molinari was amongst a group in second place at 16 under after a topsy-turvy week. The Italian opened with a 74 on Thursday before roaring round the Oceanico Victoria course in just 62 shots on Friday. Amazingly the younger of the Molinari brothers then mirrored his opening two rounds over the weekend, shooting 74 on Saturday before backing it up with his second 62 in three days on Sunday. After three consecutive rounds of 68, Lawrie had five front nine birdies en route to his 69 and ends the week with a cheque for €90,000, a result that moves him to 47th in the Race To Dubai standings. The sixth place finish is Lawrie’s fifth top ten on the European Tour in 2010, and pushes his season’s earnings past the €600,000 mark meaning he is now within striking distance of the best season of his career. Damien McGrane ended on nine under par for the week after he matched three birdies with three bogeys in his level par round of 71. Shane Lowry finished with a solid 70 for a four round total of six under par. After an impressive start to the week, Ryder Cup vice-captain Paul McGinley gradually slipped further down the leaderboard as the tournament went on and his fourth round 75 meant he ended in a tie for 54th at six under par. 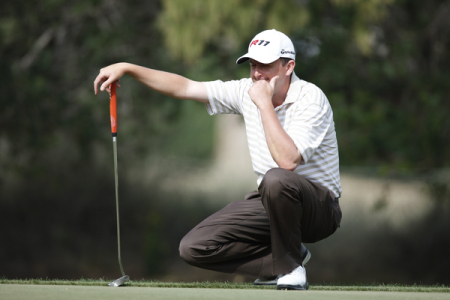 Michael Hoey managed just six pars in his level par round of 72 on Sunday. Six birdies were countered by two double bogeys and three bogeys as he dropped to 48th on the leaderboard. 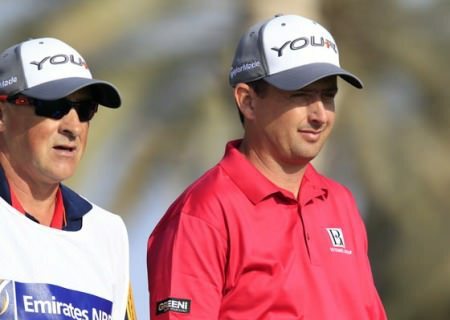 The Portugese victory is Green’s third on the European tour and his first title in over three years, but while he was left celebrating, Martin was left to rue what might have been. On a course where the scoring had been low all week, the Spaniard would have only needed a one under par Sunday round to win. Afterwards he said: “I choked, basically. “Meltdown - it was pretty clear. You could see it on TV I guess. I don’t know. I don’t know what can I say after that? Very shameful - very ashamed of myself. Victorious left-hander Green said: “I thought I was a little too it far back, being seven shots behind the leader. But you know, I set out there today to shoot a good score and I had 64 in my mind and I thought if I got anywhere near, I would have a great week. “And to be here now with the trophy is just a fantastic feeling. I’ve worked very hard, and I’ve had some opportunities to win this year and let them slip. Paul McGinley fired a flawless opening round of 66 to trail Swedes Robert Karlsson and Johan Edfors and Holland’s Maarten Lafeber by two shots in the Portugal Masters. McGinley’s bogey-free round at the Oceanico Victoria course was his best on the European Tour since his opening 66 in the Madrid Masters back in May and came on a day when all eight Irish players in the field matched or broke par.